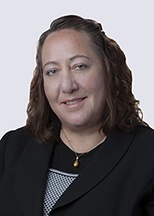 Val McComb has worked alongside corporate partners and associates for more than 20 years, specializing in assisting with a wide range of mergers and acquisitions transactions. Val is experienced in drafting nondisclosure agreements, letters of intents, bid draft documents, and customary ancillary agreements. She also has extensive due diligence and data compilation experience. Val provides corporate and securities support services with respect to entity formation, annual maintenance, equity transfers, and governmental filings.